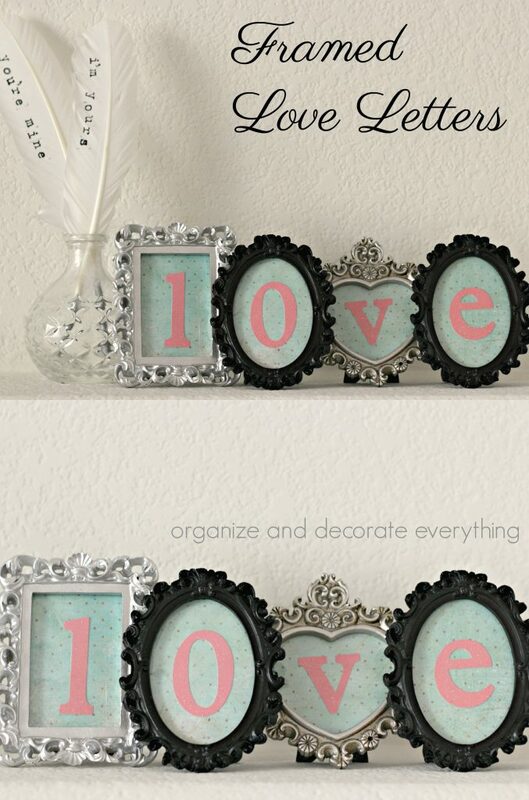 Make these quick, easy and inexpensive Framed Love Letters to add to your Valentines Day decor. Do you ever think about the approaching holiday and really don’t want to pull out the decorations for it or make a new craft project? It happens to me! But something else always seems to happen too. I tend to get in the mood to create about a week before the holiday and then I’m scrambling to get something made. An easy project is the key when that happens. This little project is cute and easy and can be customized to match your decor. 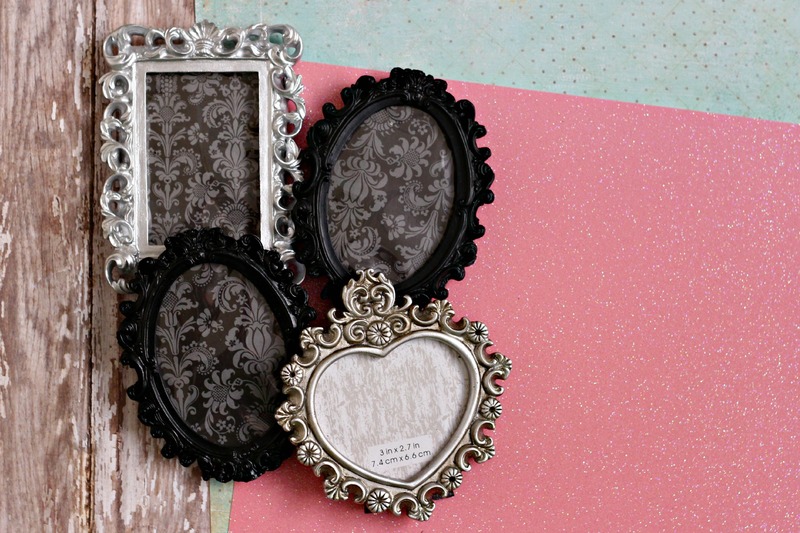 I searched through my stash and found some fun frames and scrapbook papers. The frames are from Michael’s and I believe $1.00-1.50 each. They come in many different colors but if you can’t find the colors you like you can always paint them. 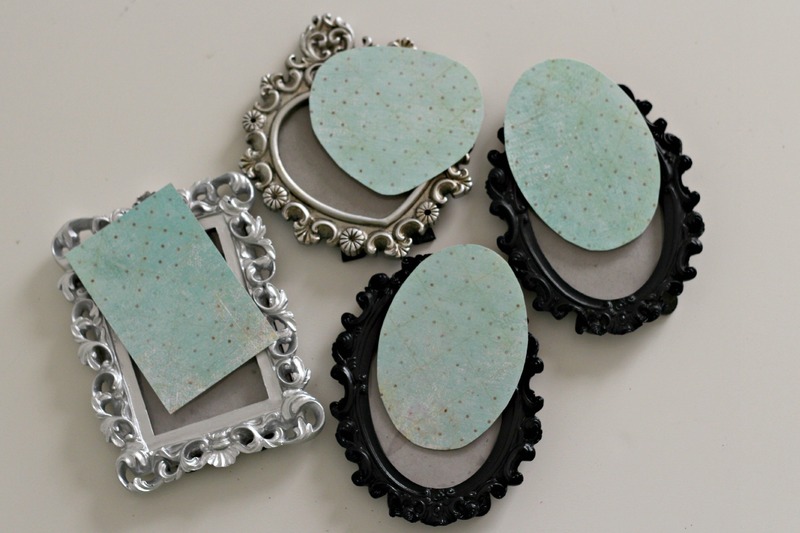 Spray paint works best for these little detailed frames. 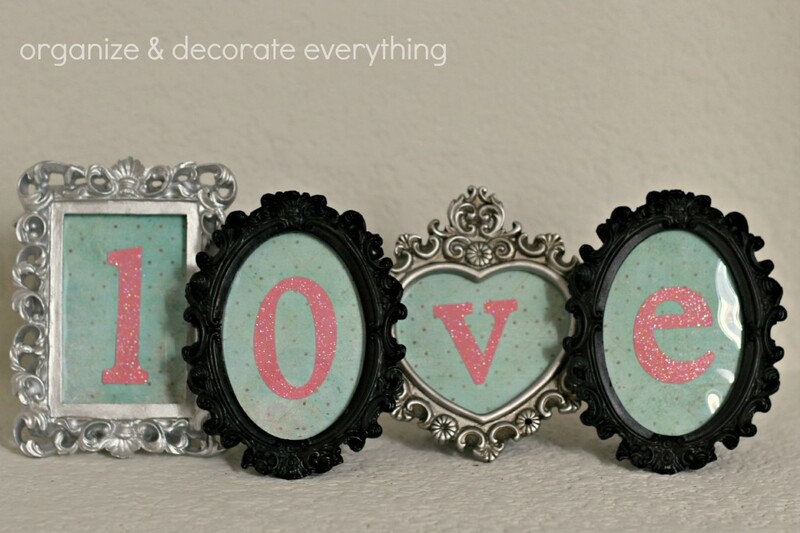 I’ve painted some similar to these but thought these colors were already perfect for Valentine’s Day. I chose the colors pink and blue to go in the silver and black frames. I like the subtleness and size of this dot paper. Trace the frame shapes onto the patterned paper and cut them out. 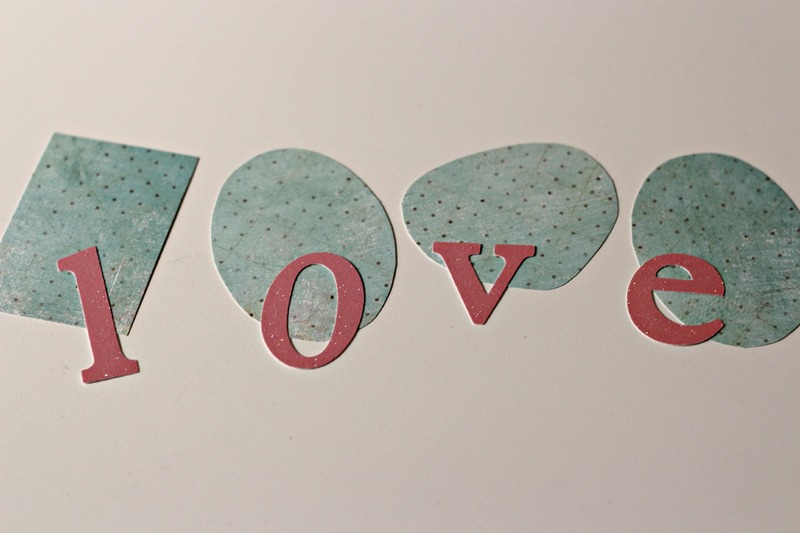 Use a cutting machine to cut letters out of the glitter paper. You could also use glitter stickers if you have those available. Now is a good time to decide which letter will go into which frame. 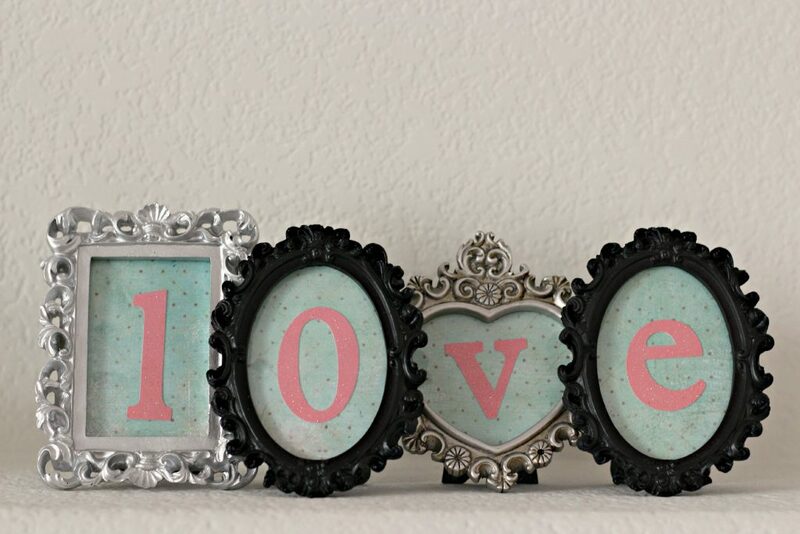 Use adhesive, I used double sided tape, to stick the letters to the center of the paper and place them back in the frames. $4 and 15 minutes later and you have a sweet Valentines Day decoration. It turned out so cute and has a little of a Victorian feel to it. 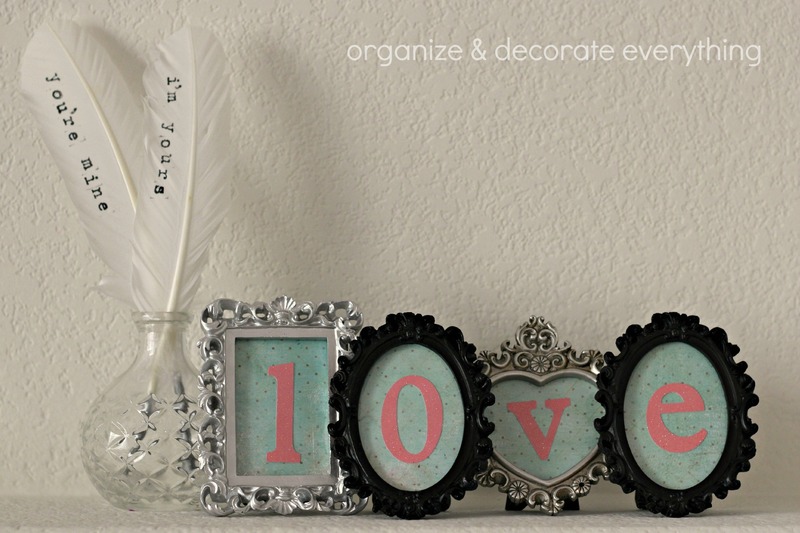 You can also see how to make the Stamped Feathers. Good luck on all your little craft projects right now.